Spread the cost from only £132.50 a month with Interest Free Credit. 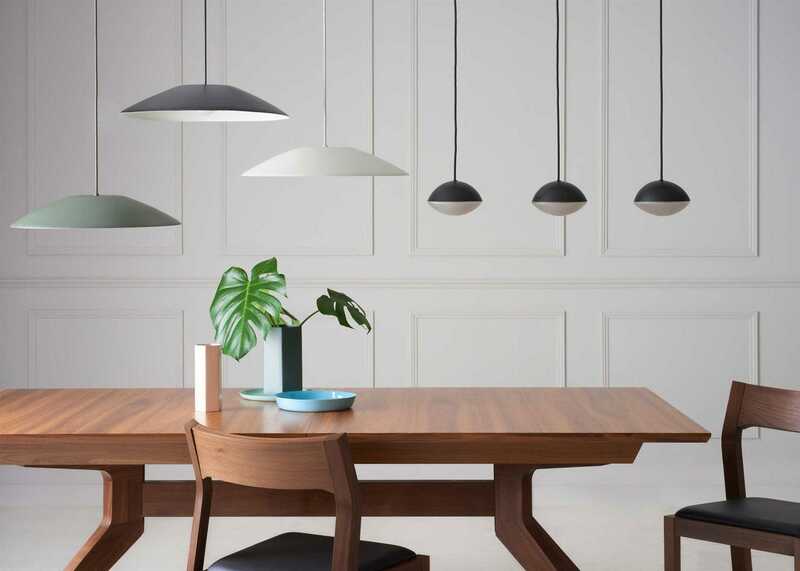 Designed in London by Matthew Hilton, the Cross is a multi-award winner with accolades including the Elle Decoration Award for Best in Furniture in 2006, the Homes & Gardens Classic Design Award in 2007 and the Design Guild Mark in 2008. 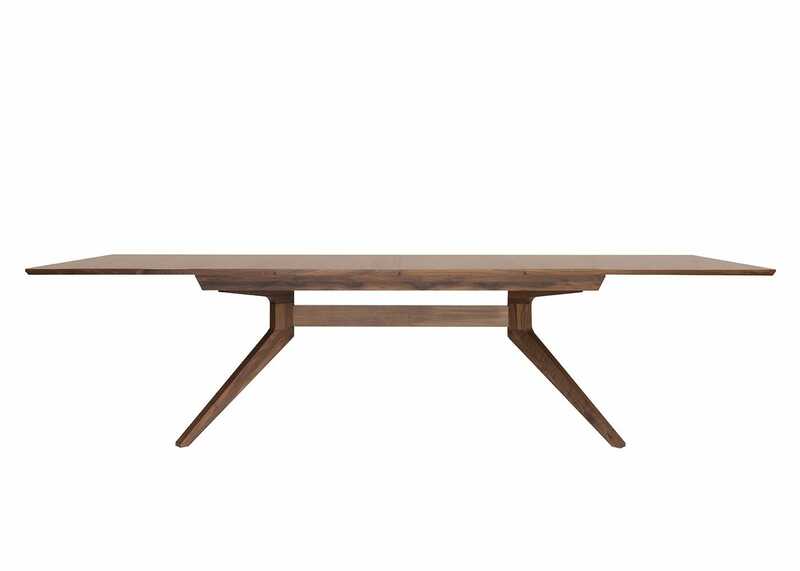 Made from a choice of oak, wenge or walnut, this table features a smooth veneer along its top with angled legs providing its distinctive profile.The design exemplifies Matthew Hilton's ultra-modern approach to wooden furniture craft. 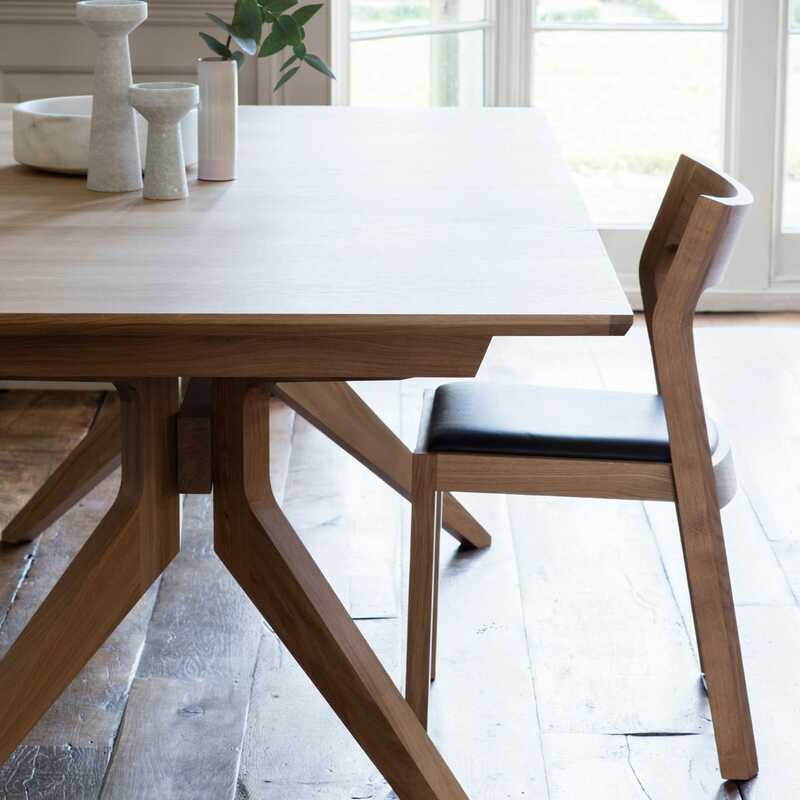 Practical and adaptable, simple lines build to create the contemporary shaped base while two panelled leaves are cleverly concealed within the frame to quickly reconfigure for extra dining space. The Cross dining table comes with 2 extension leaves which can be stored internally. Can be extended to 247.5cm or 295cm from its original 200cm length. Can seat up to 12 people comfortably when fully extended. 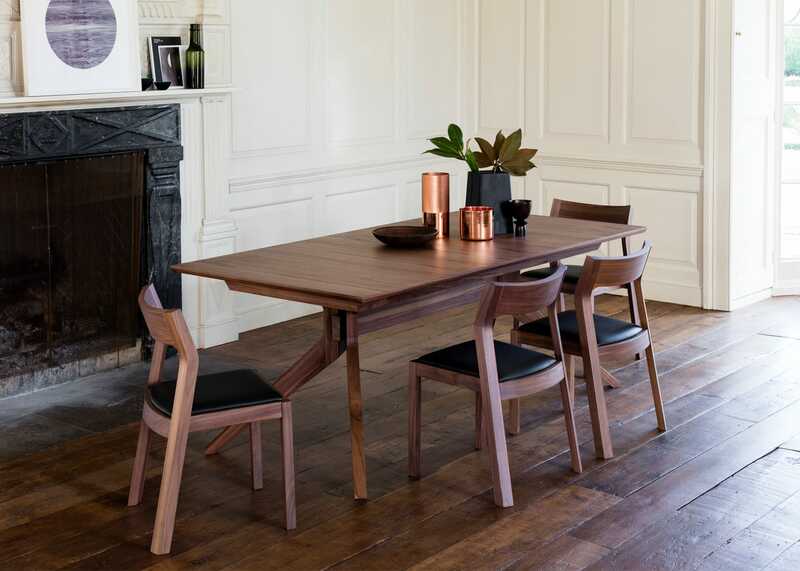 Exclusive to Heal's in Wenge, a beautiful dark finish that complements and contemporary living space. 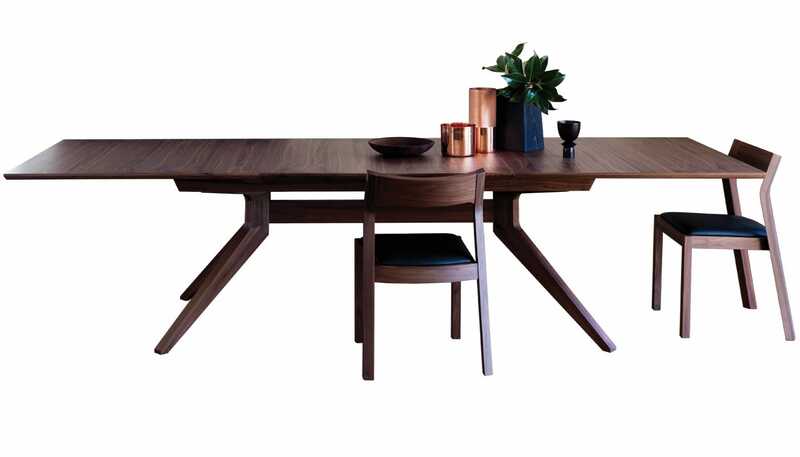 The table top is made from a wood veneer which displays the beauty of the natural wood grain while maintaining the stability of the table surface. 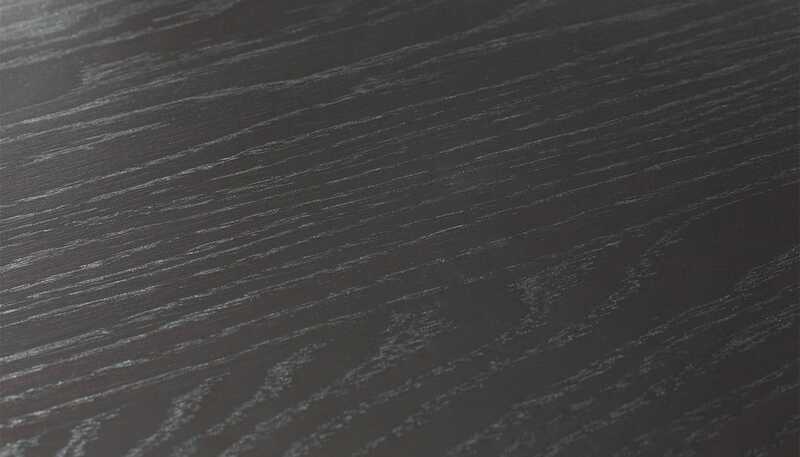 Because veneer is made using thin layers of wood, it is much less likely to warp or crack over time unlike solid wood table tops. 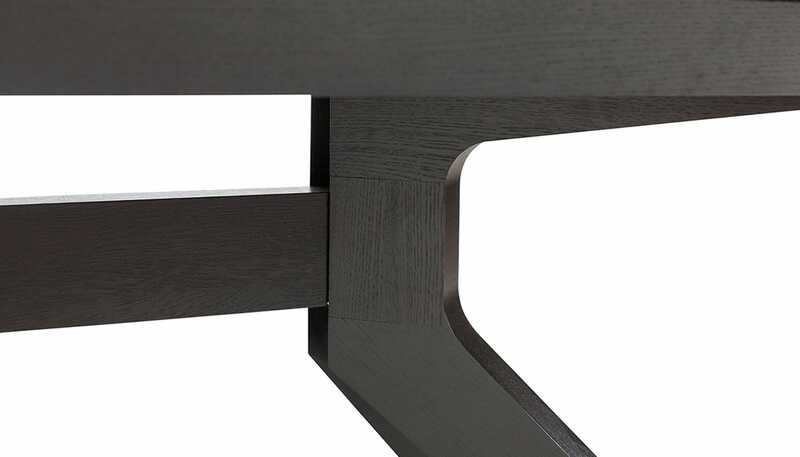 The end result is a stable and durable surface with a beautifully natural finish. An award winning design with accolades including the Elle Decoration Award for best furniture and Design Guild Mark. 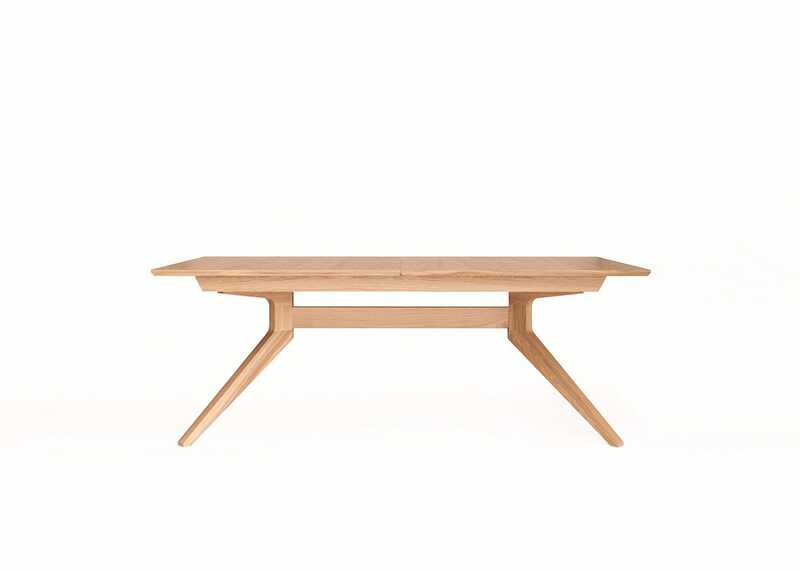 Tabletop well supported by beautifully made legs creating an elegant silhouette. 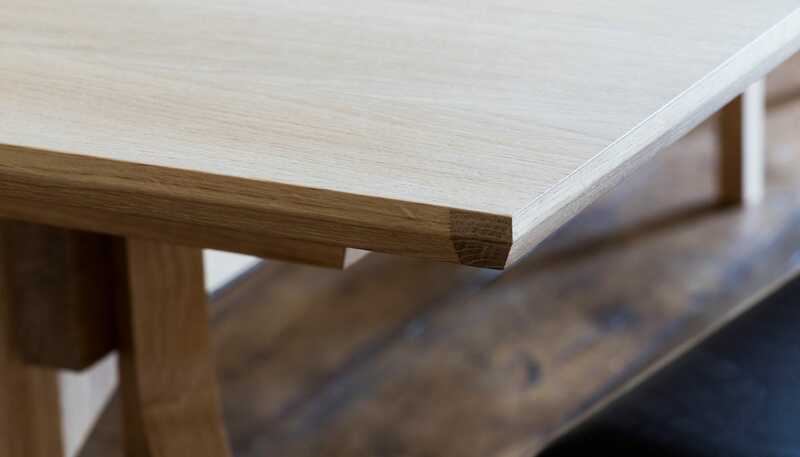 Detailed woodwork with mitred edges portrays excellent furniture craft. 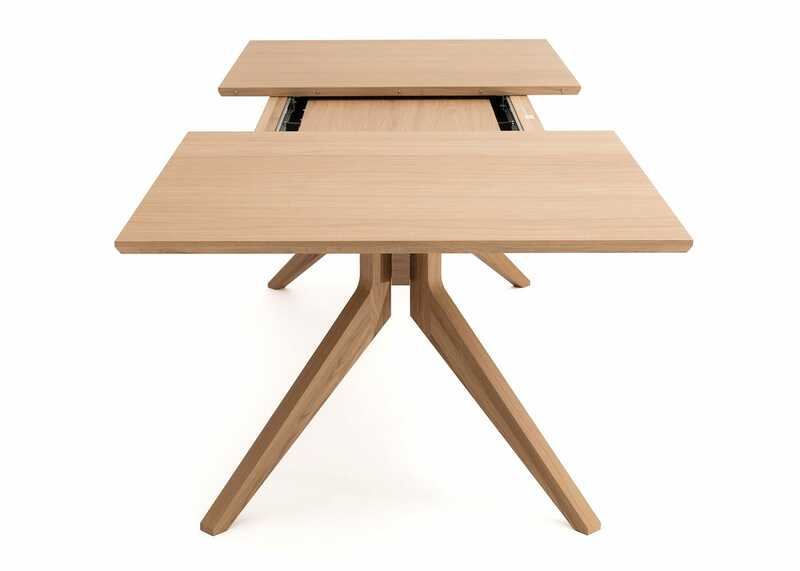 Leaves are easily stored inside the felt lined compartment under the table. Felt lined - contains 2 extension leaves. Daily maintenance: Wipe with a damp, non-abrasive, lint free cloth. When done correctly, this procedure should deal with any small hairline scratches and wear and tear. Polishing: This is not required but polishing can restore the wood’s natural shine if it begins to look dull. Avoid intense heat, corrosives or spillages. Any spillages should be wiped clean immediately. Do not use spirits, bleaches or any other chemical cleaners to clean the timber. Excellent product with a great mechanism. Perfect for what we wanted. Looks good, great design and wonderful mechanism. 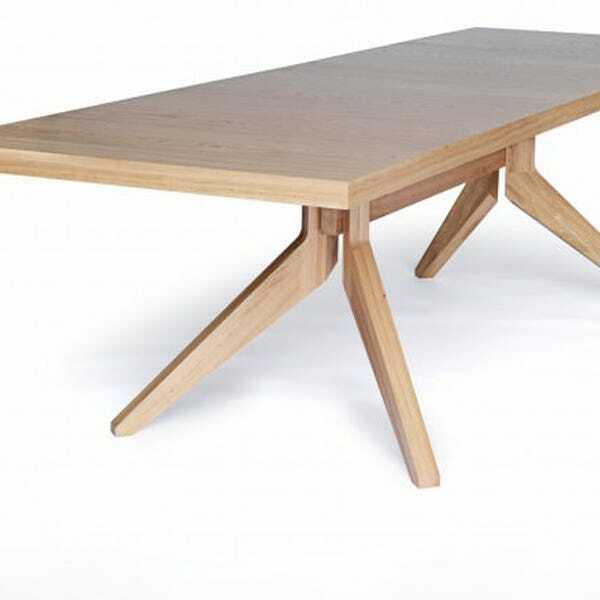 A great versatile table stylish table that can host up to 14 people. The table is good, just marred by the fact that I had to wait for it so long. I'm glad to hear you love the new svelte design of the Cross Extending Dining table. 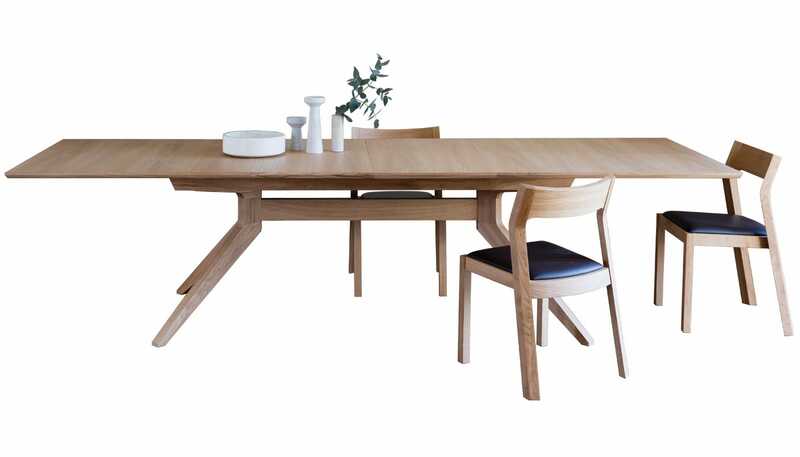 Using modern layering of veneers, Matthew Hilton has designed a slim line extending dining table which is safe from warping and extreme temperature changes. 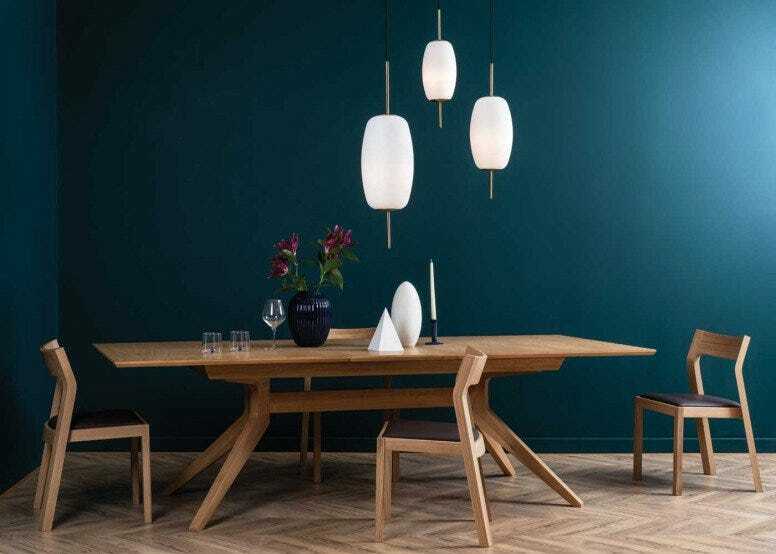 As wood is a natural material, under normal circumstances,... Read More. 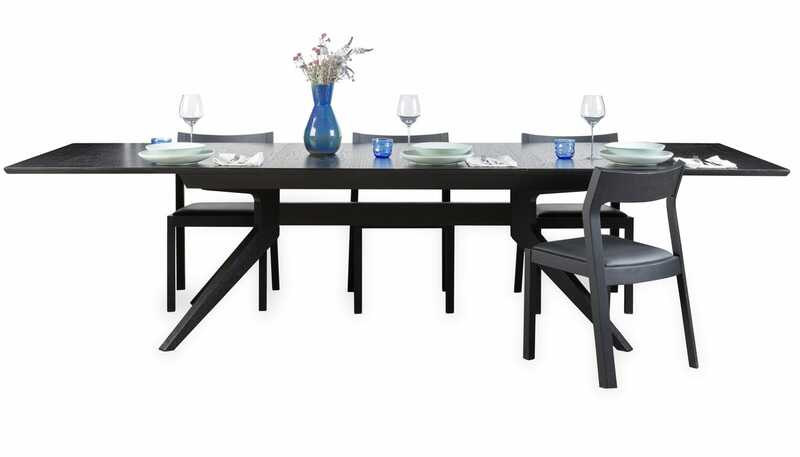 I'm glad to hear you love the new svelte design of the Cross Extending Dining table. 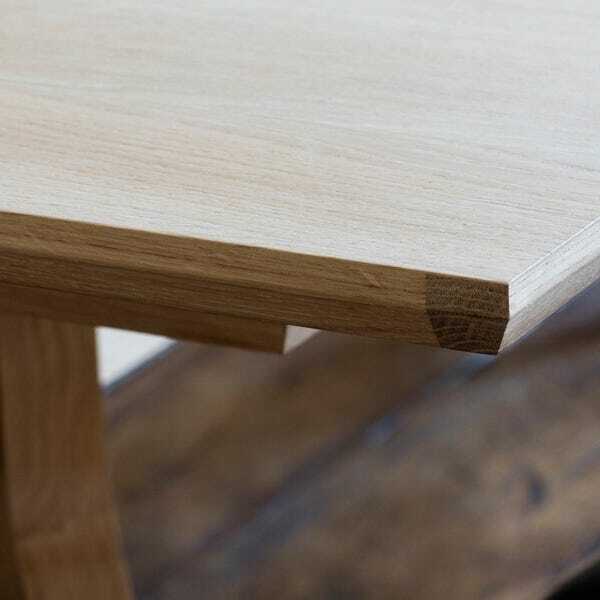 Using modern layering of veneers, Matthew Hilton has designed a slim line extending dining table which is safe from warping and extreme temperature changes. As wood is a natural material, under normal circumstances, it would bend and change shape. Matthew has gone to great lengths to ensure that this does not happen, however in order to do this, the table top has to have some flex. This is intended, completely within the design and nothing to be concerned about. 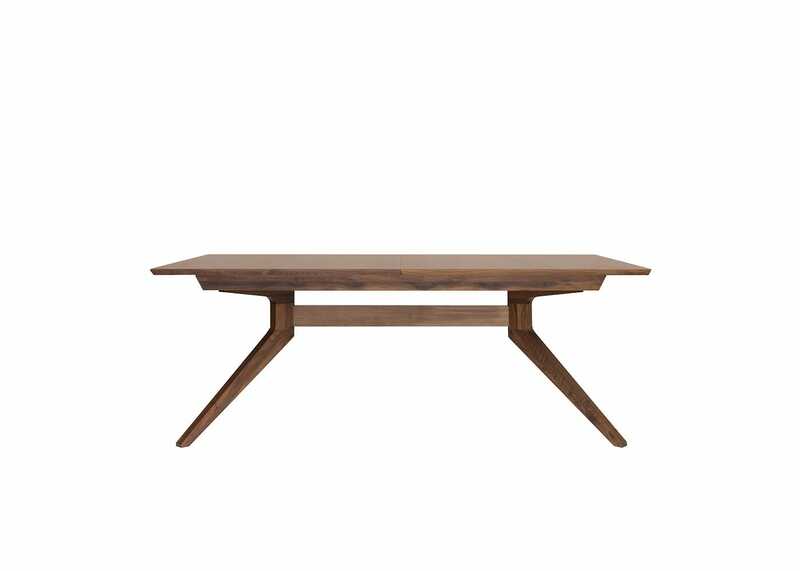 I'm sure over Christmas you'll get many compliments regarding your new dining table and I hope you continue to love it year after year.